Reference : Sear Greek - 7815. Size : 38.0 x 38.9 mm. Weight : 46.13 grams. Grade : goof Fine. Dark brown patination and some lighter blue-green deposits. Obverse : Head of Zeus right. 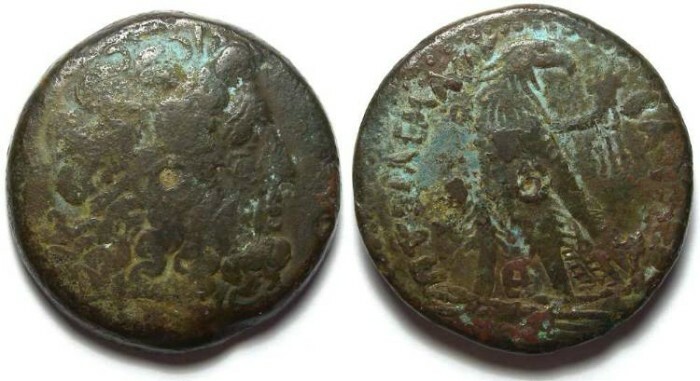 Reverse : Eagle standing left with wings folded, on a cornucopiae in the left field, with an E between the eagle's legs, and PTOLEMAIOU BASILEWS around.